To exhibit in such a peculiar room as a silo, requires an understanding of the space, sizes, acoustics, light and materiality. – And content. 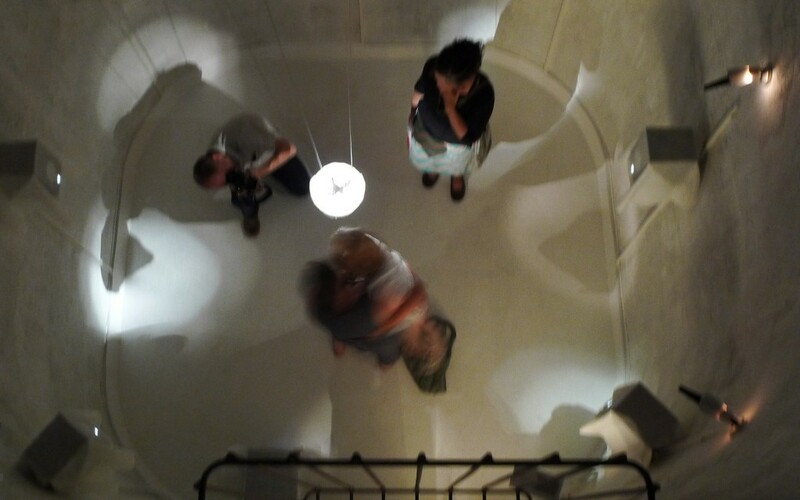 A silo, in a way, spatially completes itself: – raw, strange, claustrophobic and beautiful. However the idea for the project was apparent to me as soon as I entered icy silo in the barn in Seljord. I have experience of farm work and silos from my uncle’s farm, and been faced with the death of a close relative in a silo on a farm in the same village. A silo is a room for food and life, but it is also a relentless space. One dies in a silo. 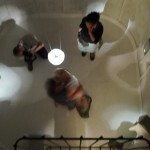 One can also become aware and feel one’s own presence and volume in a silo. 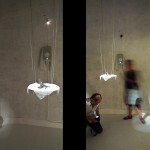 The project entitled, “Prelude for Eternity – Transitory Circuits” grapples with the intersection between presence and nonexistence: the connection between human existence and point where it ends- where this point becomes ethereal. 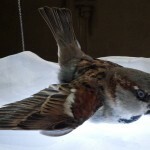 The main materials in the installation are light and sound, – and a sparrow. 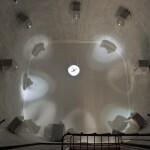 Light and sound objects, seven in all, are evenly spaced around the walls. They are mounted slightly above us. 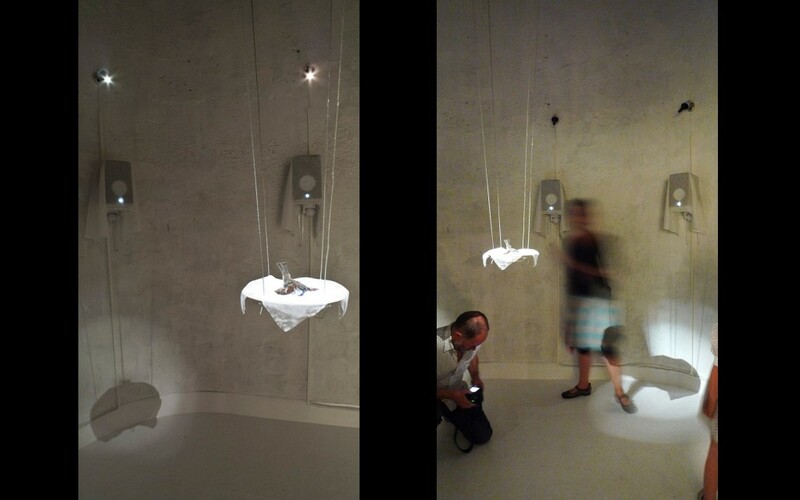 At the center hangs an object with a manipulated sparrow. This object hangs approximately at the height that determines whether a child dies and adult survives because of the gas that hovers above the floor. The sparrow is fast becoming a threatened species because of, amongst other things, coated corn and pesticides that kill the insects that the young need to survive their first days. This is killing the sparrow. 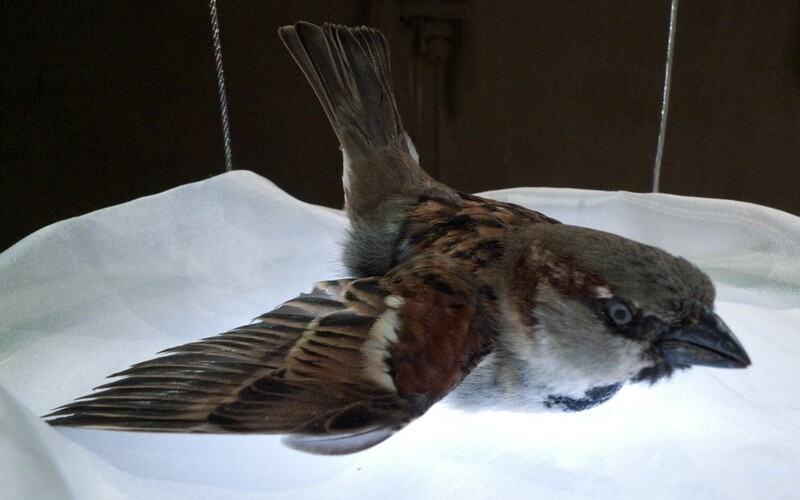 The sparrow, from a human point of view, becomes a metaphor for our ecological and ethical issues. 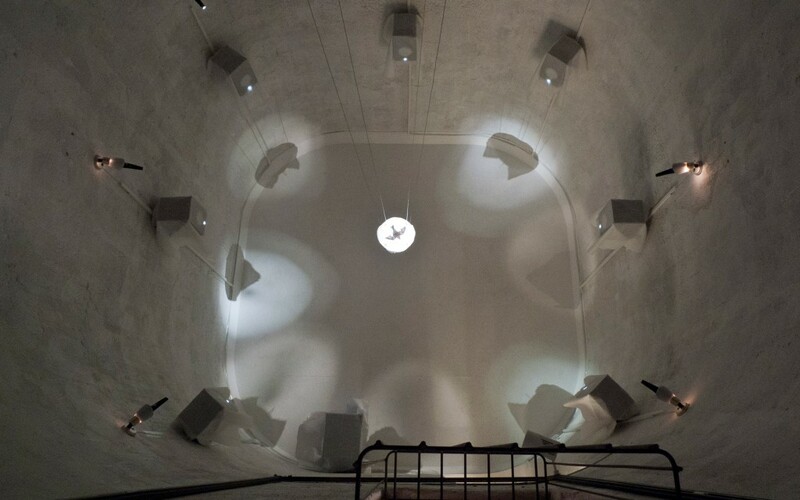 All the lights are directed at the bird, and when the spectators enter the silo, these turn off one by one depending on the spectators’ movements in the room. As each light is extinguished, a human voice or a cello starts- and depending on the movement in the room, they become a choir that fills the room more and more. The cello is the instrument that is perceived to be closest to the human voice. The voices and the cello work together. 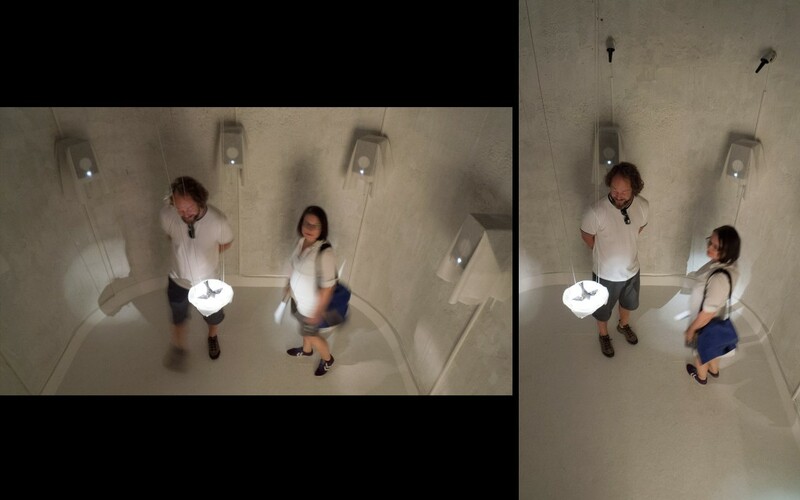 The light and the object relates to our various heights and bodies, while the sound fills the room. 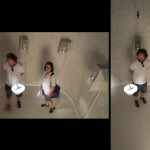 Because of the height of the room one almost experiences that the resonance moves upwards. One will be able to see and hear the work from the second and third level, but it is only when one stands at the bottom of the silo that one will be a part of the installation.